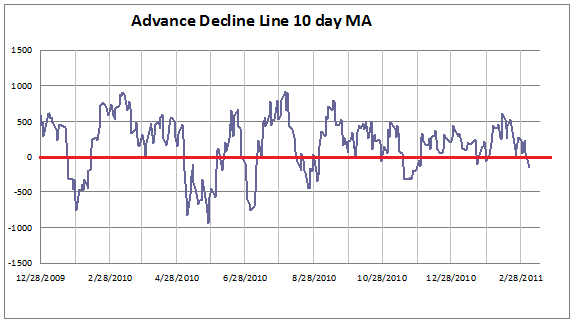 As I mentioned yesterday the market is now oversold. Its not a great reading. We will only be dropping large negative numbers for the next two days as you can see from the raw data below. 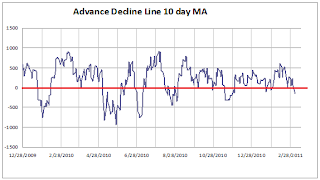 Overbought readings have not been great indicators recently as they have usually only led to some sideways consolidation or minor declines. Oversold readings have been good indicators and still deserve the benefit of the doubt.